a business blog that generates leads. Kicking off a business blog doesn’t have to mean starting from scratch. We have built the tools that will make planning, writing and perfecting your business blog easier. Blog Planning Calendar template—Outline your topics, target audience, keywords, calls-to-action, deadlines and assignments all in one convenient spreadsheet. 5 Ways to Write a Business Blog templates—Ready to use templates for writing blogs using five popular formats, including lists and how-to posts. Blog Essentials Checklist—Perfect your blog and individual posts by making sure they meet the 20 criteria outlined to optimize SEO and lead generation. 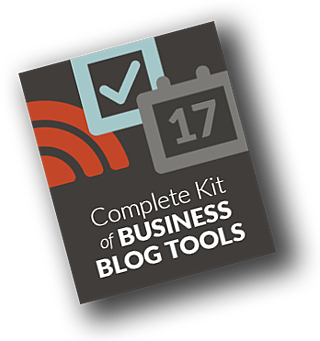 Download your free kit now to make starting, or continuing, your business blog simpler. Tools to make business blogging easier and more effective.